Cacofonix has been instilling the psychedelic underground with his technical performances and unparalleled understanding of his track selection for over 15 years. 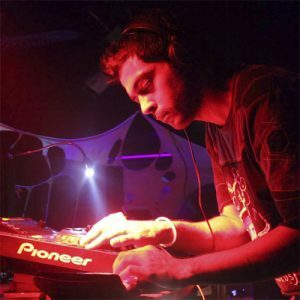 A proponent of the underground Goa and Forest disciplines, he has played on huge lineups alongside Atriohm,Parasense, Arjuna, Samadhi, Full Face, Psychoson, Jangaramongara, Already Maged, Nolm,Gu, Saikozaurus, Fuzulu, Papiyan, Sabai Sabai, Kulu, Reality Pixie, Crazy Ducks,across India,Thailand, Malaysia, Dubai, Singapore and Sri Lanka. He has also made an appearance in the Experience Festival Thailand in 2010. With such immense experience and repute at his side, he ventured into co-creating one of India’s leading psychedelic ensembles, Vantara Vichitra, not just moulding the label’s style with his signature track and artist selection in the splendid compilations they have released, but also in draping numerous psychedelic gatherings in the country in immensely beautiful and soulful colours and decor through VV’s decor collective. He is also responsible for the cover artwork of all their releases,which have received rave reviews from within the global psychedelic scene. Cacofonix has also dived into music production since 2007 and has been part of tracks released on Bijah Records, Liquid Frequency as well as a collaboration track on Vantara Vichitra.